When you’re running an eCommerce site, one of the coolest things is playing around with the various plugins and features available to you. There are hundreds of them out there, and that’s ignoring all of the out of date, redundant and poor plugins that fill directories and app stores. I’ve scoured these directories and found fifteen of the best, divided by ecommerce platform. Most, but not all, of these plugins are free. Some of them come with minor fees to license. Honestly, they’re worth paying for, even if you’re still trying to get your business off the ground. The feature you get are hard to match. These five plugins are excellent for running an eCommerce store through WordPress. I like it simply because WordPress is such a great platform. You can do anything with it, from running a community board to a blog to a storefront. WP Ecommerce. This plugin is the alternative to WooCommerce, which I cover later in this article. It’s one of the better platforms to turn WordPress into a storefront, complete with everything you need to run a store from scratch. It’s not perfect, but that’s what other plugins are for, right? It accepts a bunch of payment methods, including Paypal and Google Wallet. Importantly, it comes with SSL already ready to go. Easy Digital Downloads. This plugin is a more limited sort of ecommerce setup, designed specifically for digital products. If the only things you’re selling are digital products like software, plugins or ebooks, this is perfect. 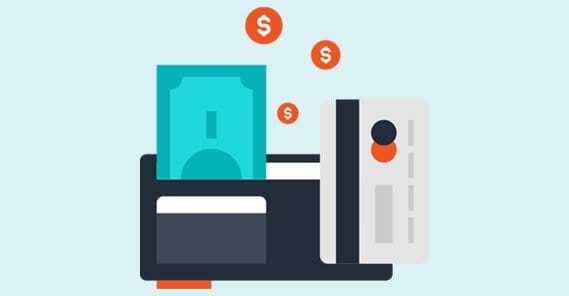 Works with Paypal and stripe, among others, and comes with a bunch of features that streamline digital downloads. iThemes Exchange. This is one of the quickest and easiest commerce plugins available. It’s not complex, and it doesn’t have a lot of features, but it comes with the ability to add a lot of additional features through iThemes add-ons. You can add in offline payments, customer-chosen pricing and memberships, among others. Jigoshop. Jigoshop is on the complete opposite end of the spectrum. It’s a plugin that was designed by professionals to include as many enterprise-grade features as possible. It’s a little tricky to learn and get used to using, but it can do pretty much anything you could ask of it. Ultimate Product Catalog. This is a simple drag-and-drop plugin that allows you to create the perfect product catalog layout, ranging from basic grids of images to almost magazine-like spreads. Give it a whirl and see what you think. The next five plugins are actually apps for Shopify, and they can be found in their app store. They have over 500 available apps to choose from, so it was pretty tough to narrow this list down. Printer. A simple name for a simple app. Shopify is great, but it lacks a few features. Printer is a quick and easy way to add invoice and shipping label printing to your order process. ShopPad. Mobile is the wave of the future, and while most of these commerce systems work on mobile devices, sometimes you need a little bit more in the way of optimization. That’s what ShopPad is for; it adds exceptional functionality for tablets and phones. YotPo Product Reviews. One of the hardest things to do with ecommerce is get satisfied customers to write reviews. That’s what this app does; encourages and solicits reviews from happy customers, to use as social proof later. Vantage. This app is an analytics app specifically designed for hybrid retail-digital stores. It keeps track of product sales and trends, and it suggests actions you can take to increase sales and cater to those trends. If you ever wondered how some large businesses can be so agile, this is one of the tools they use. Aftership. This app is a comprehensive shipping tracker that integrates with any courier service you can imagine. It allows you to track packages from the moment they leave your warehouse to the moment they arrive at the front door of the customer. WooCommerce is technically a toolkit and platform made for WordPress, so it’s almost disingenuous to include it in a separate section. The whole interconnected world of eCommerce platforms and tools is such that it’s hard to separate any one setup from any other with firm lines. Just consider that these plugins are designed to work with WooCommerce specifically, not with WordPress in general. Dynamic Pricing and Discounts. This plugin allows an incredible amount of flexibility in your pricing and deals engine. You can adjust prices on the fly to match competitor deals, you can give deals when customers add certain combinations of items to their cart, you can give bulk discounts, and much more. Zoom Magnifier. You know how, on Amazon, you can hover over a product image and see a zoomed in version so you can see fine details you can’t see in the zoomed out version? 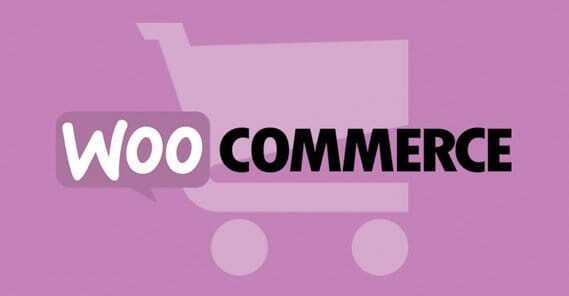 This plugin allows you to add that functionality to your WooCommerce page. Product Countdown. This plugin is a simple countdown that’s made to add scarcity to your products, by making deals either time-sensitive or limited in quantity. It’s a good way to encourage people to convert before they miss out. Table Rate Shipping. This plugin is another that hooks into WooCommerce and gives it added functionality. In this case, it’s great for companies that ship a lot of products across the country or around the world. It allows you to set up shipping price zones and generally take a lot of the confusion out of managing shipping options. WooCommerce SEO. This one isn’t strictly a commerce plugin. Rather, what it does is fixes a lot of the issues that come with WooCommerce out of the box. It helps you organize and populate various meta elements for your product pages, as well as removing duplicate content issues. It’s a must-have if you’re concerned about SEO issues. What is The Best eCommerce CMS on The Market?